involves scientific instrumentation companies in its technological research; upstream within the framework of collaborative projects and downstream in the industrial and commercial exploitation of innovative devices designed by its teams. Our services for your materials characterisation studies. SOLEIL is a platform for the characterisation and study of materials (live, inert, biomaterials, surfaces, plasma, liquids, complex matrices, etc.) 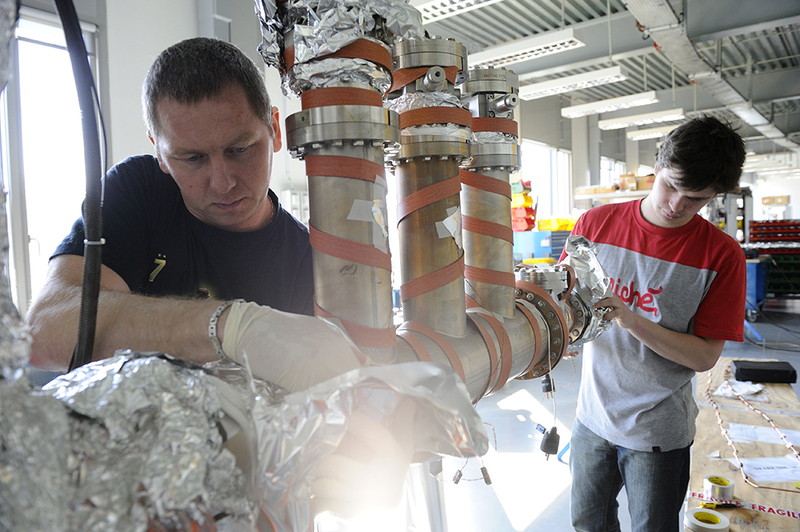 that uses synchrotron techniques such as various spectroscopy methods and nano or micro-imaging (X-ray, UV, IR, or XPS), X-ray diffraction (single crystals, surfaces, powders, biocristallography, etc. ), diffusion techniques (SAXS, GISAXS, etc.) as well as micro and nano-tomography. 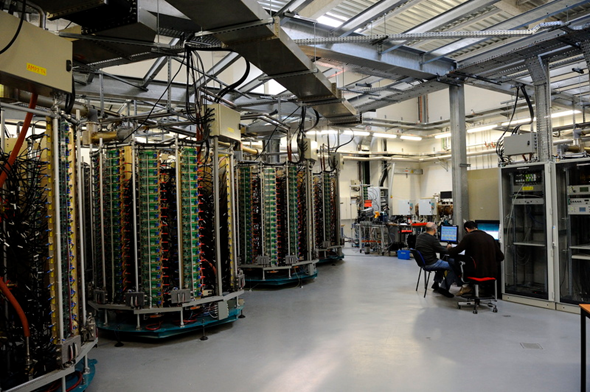 SOLEIL offers state-of-the-art techniques and its expertise in materials analysis, within 29 specialised analytical laboratories staffed by 29 dedicated teams (scientists conducting their own research and also welcoming numerous users from a wide range of scientific disciplines and sectors on a daily basis). If you want to find out more about the measurement services offered to businesses or laboratories wishing to access high performance resources for the analysis, characterisation, inspection or monitoring of materials right down to the nanometre scale, please contact us. 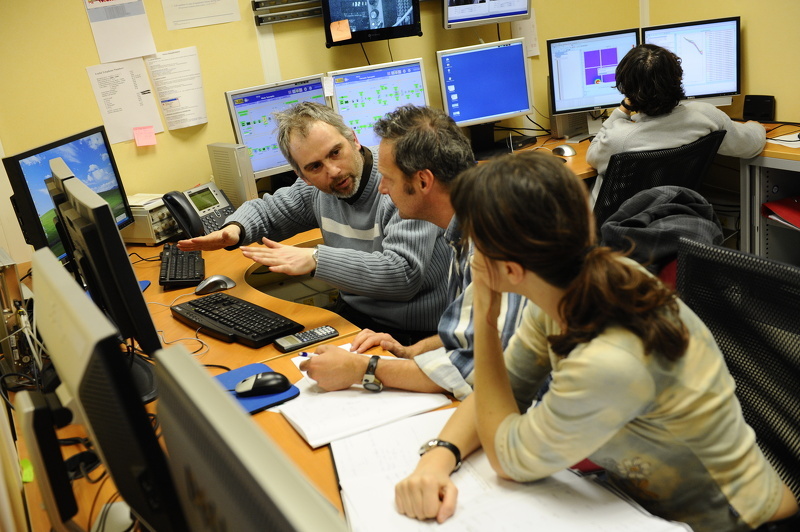 The scientific research activities carried out by internal and external users of SOLEIL require the latest technological developments to design, validate, construct, put into service and operate the whole high technology chain for the production and use of synchrotron radiation: particle accelerators, synchrotron radiation sources, optical devices for conditioning this light, experimental stations on the beamlines and in the support laboratories, detectors, etc. These powerful and reliable devices, designed or validated by SOLEIL based on state-of-the-art technologies, generally result from ambitious technological R&D projects, defined according to the needs expressed by the user communities, and carried out in collaboration with partners from other large installations and industry. In this context, SOLEIL engages with scientific instrumentation companies in differential ways: technological and training services, supply of innovative devices for experimental use, technological R&D partnerships and knowledge transfer. - technological services (cleaning of mechanical parts under ultra-vacuum, tests on instrumentation devices under ultra-vacuum, magnetic measurements, design of magnets and pulsed power supplies, programming of PCBs, alignment and adjustment of monochromators, etc.). Inauguration of the COSMETOMICS platform with the company BioEC, the Cosmetic Valley competitive cluster, the University of Cergy Pontoise and SOLEIL. SOLEIL hosts or is involved in a number of dedicated technological platforms as part of measurement partnerships. Whether this relates to subject-area or regional platforms, complete with experts, buildings and premises specific to SOLEIL, or indeed to our partner’s sites or even an interface structure offering its expertise to a particular sector, different platform models are available to businesses so that their requirements can be better met by provision of a comprehensive offer.